The home we loved had multiple offers, with David we walked away with it!!! "I was referred to David through my cousin who also bought his home from David. I was hesitant to go with someone I had never met before and wouldn't meet until they were showing me the houses as we were moving from out of state. David completely wiped away any fears I had by making an effort to get to know me and what I liked right off the bat! He knew I was a first time home buyer and that I had a strict price range and only two days in town to look for my little family's first home. He didn't show me any homes that were out of my price range, he asked what I liked and didn't like about the houses he showed me and at the end of the first day (we looked at about 7 homes) I was upset we hadn't found one- he said "tomorrow is a new day, new houses, and tonight I am going to narrow down my list and add some more to it. Don't worry!"... the next day, he had several more houses for me to look at, including one that had gone on the market the night before, that was in our price range and had GREAT potential. It was the 3rd house we saw and the minute I walked in, we knew that was it! David went to work for us and after a 3 day bid war (12 offers were made) we came out on top. David truly worked hard for us and in the process we gained an amazing first home, a wonderful contact , and a friend. If you want a go-to guy..... call David." "David Dobson is the ultimate real estate professional! David worked with me to find a home that met my needs and desires; -I was completely satisfied with the buying experience. David so impressed me with his professional skills in buying a home that when it was time to sell, I asked him to put my house on the market. He put together an excellent marketing plan and sold my home for list price and in a short amount of time. David's skills are very impressive and I've recommended him to all my employees and co-workers." "David helped us sell two homes in Edmond, OK and went above and beyond our expectations. I recommend him wholeheartedly without reservation. Not only was he was personable and kind, he was professional and responsive, quite often solving issues before my husband and I knew they existed! We have bought and sold a number of homes with several different realtors. David tops them all." "David was professional, friendly, and very knowledgeable. We chose to both buy and sell our OKC home using his expertise, and have absolutely no regrets. David's communication skills were second to none and we were able to rely on his experience and professional opinion to carry us through, without ever needing to question or doubt him. This was paramount in keeping our sanity during our cross country move. We have previously and will continue to recommend him to our friends and family, We have only heard extremely positive feedback. Bottom line if I or my family needs an OKC area realtor in the future David will be my first call." 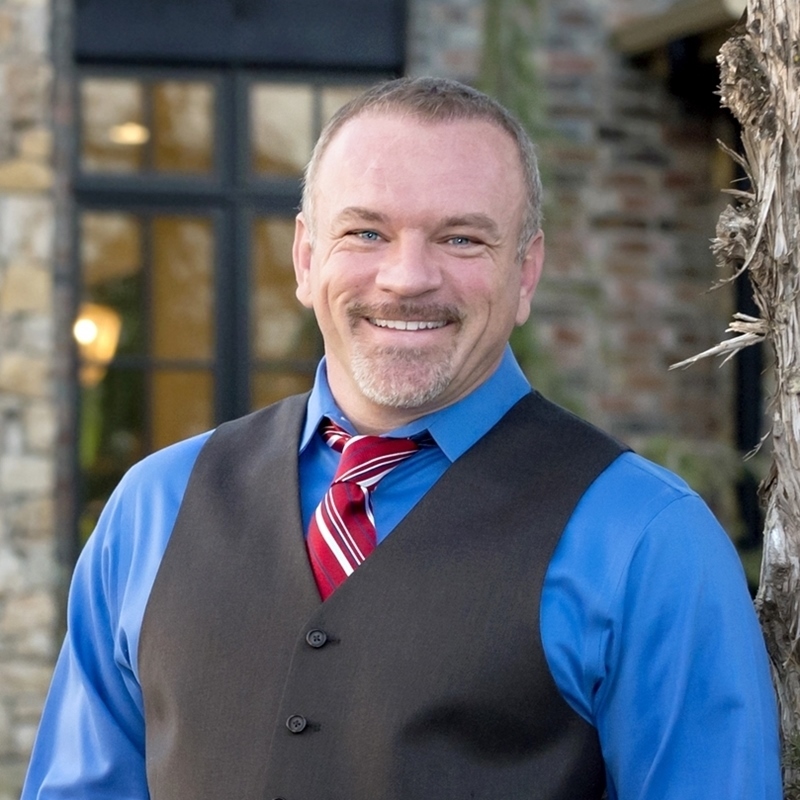 "I used David Dobson to purchase an upscale house in Edmond. David has been around the block and knows all of the intricacies to to fine work. I had confidence that he had all the bases covered. As important as the knowledge is his friendly "bedside manner." He takes the time to explain issues and always answers his phone or calls right back within a few minutes. I feel very comfortable giving David a great review and would use him again in the future." "We have recently completed our second house closing with David. The first was through a relocation 12 years ago. He is very professional, courteous and extremely knowledgeable about the entire process of buying and selling. We hired him again the second time because of the handling and comfort we had with him the first time. Buying and selling a home is an extremely stressful event and David quickly provided the reassurance we needed at times during the process. We wouldn't hesitate recommending him to anyone or to use him again in the future. Thanks David!" "I've personally known David for almost 20 years, and so it was an easy choice to ask him to be my Realtor/Broker. From the search, through the negotiations (very few people seem to have the negotiating skills that he obviously possesses), to the writing and amendments to the contract and the final paperwork, David worked incessantly to make sure everything was ready for me, right when I needed it, and while we were and still are great friends, he purposefully made the whole process to be a professional business relationship, one in which he presented my home-buying process at its core: a major life investment that I needed to be 100% comfortable with in the end; no doubts. His professionalism, courtesy and hard work are all things that I knew I could rely on to be present from day one. David performed his job at the highest caliber, and he made sure that I was comfortable throughout the entire process. First time home buying can supposedly be a strenuous process. It wasn't for me, and I credit that to David"
"The best of the best, David sold my home and helped me find the perfect new home, his knowledge and expertise made the negotiations seem effortless." "Mr. Dobson is a qualified, professional realtor who is very knowledgeable in his field. He took time to learn our preferences and worked to make sure the properties he showed us met our expectations. He worked with our schedule and was not locked in to his time frame." "Engaged him to sell a rental home. We live far away. He did a great job, so much so that we have engaged him to represent us on a second one. He was working with our property manager and they dropped the ball a bit. David took over to make sure the transaction closed successfully." "David Dobson is THE MAN!! He went over and beyond to get our house sold! He did an awesome job advertising our listing! He had it on websites and sent out post cards with the house info! We highly recommend him!! You will not be disappointed!! We will always use David for our home listing needs!!!" "David was great in selling our home in Moore in 2010. We were building anew home on a piece of property we already owned. Davide was great in getting potential buyers and I believe he sold the home at a great price for both sides in less than 2 months. I recommend David as he is one of the most professional people I know. His experteise in the OKC Real Estate market is second to none! Less"
"David provided me with facts that I needed to know when placing my house on the market. His years of experience always shone through. He communicated with me promptly and he gave me his opinions only when I asked for them. He was available whenever I had a question. He was knowledgeable about the many on-line sites for advertising my listing. He posted these as soon as I had signed the Listing Agreement. I would highly recommend David for your listing." "A friend recommended David Dobson to me when I was looking for a home in Oklahoma City last year, and it turned out to be great advice. In all my years of moving around, buying and selling many homes, I have never worked with a better agent. My father was a builder and a real estate agent so I have a sound basic knowledge of the business, and David was superb in every way. But above and beyond his professionalism and competence, he was kind and patient with a somewhat difficult seller (due to medical complications) and with a buyer who was not always easy to work with (that would be me). None of us felt pressured, and all of us felt that David truly cared about our needs. And in the end we were all completely satisfied. If I ever buy another home in Oklahoma City, David will be my agent." "David has represented me on several different occasions with my real-estate needs. He has always been very professional and provided me with the most up to date information and met all my needs and requirements. His knowledge of the market and area is outstanding. Your best interest is always his top priority. You could not ask for a better person to represent you in any real-estate needs you may have." "David Dobson is dedicated, compassionate, knowledgeable, and willing to go above and beyond to find his client their perfect home! David listened to my wish list and worked diligently to find me my new home. When working with David it's obvious this is his passion, and it shows! I would highly recommend David to anyone needing to buy/sell a home...in fact, he has found homes for family, friends and neighbors of mine too!" "Honestly, I don't know if there could be a better realtor than David Dobson. He is kind, thoughtful, honest, and he will fight for you. We busted a contract on a house and the builder was trying to keep the earnest money . David got it all back for us. He then helped us by the house across the street for a much better deal than the previous one. Oh yeah and he sold our previous home in 2 days. Not too shabby,"
"My wife and I had become frustrated with 2 failed attempts at trying to sell our home in 2011 and 2012 with other realtors. David came in with a very positive attitude in 2013 and assured us that things would be different. Well, I'm happy to say that hd did sell our old home in Sept of 2013 and with David's help we later bought our dream home in 2013"
First investment now he's our entire family's Realtor! "David did a great job searching and narrowing down the type of properties we wanted. He has helped us with multiple investment properties throughout the past three to four years. He really knows what to look for inside and out and is extremely thorough when it comes to finding the best property for you. David is very prompt and knows the market in and out!! Regarding the closing process and paperwork that goes along with purchasing a home he makes it very seamless and easy to complete. If you want the best realtor then you need to work with David he is the best there is!!" He'll be family by the end of it! "From beginning to end David worked consistently to make sure I was informed, communicated with me the way I preferred, and definitely worked to prove he was our representative. His honesty and knowledge are his best attributes, working with someone transparent was something new for me - no gimmicks just true hard work and straight facts. He is a true professional"